Modal Windows - Step divided by wizard and big step in a B2B application - New and Fresh Private + Public Proxies Lists Everyday! 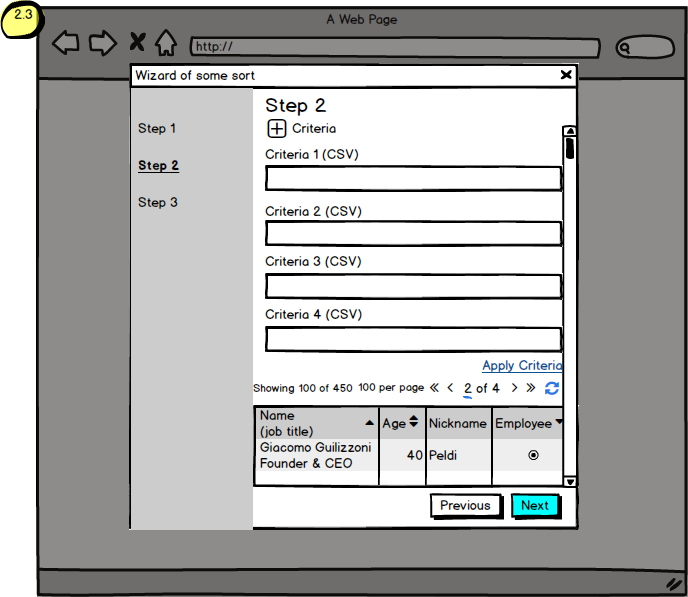 We are in the process of re-developing a B2B application to make it more user-friendly while keeping it robust. 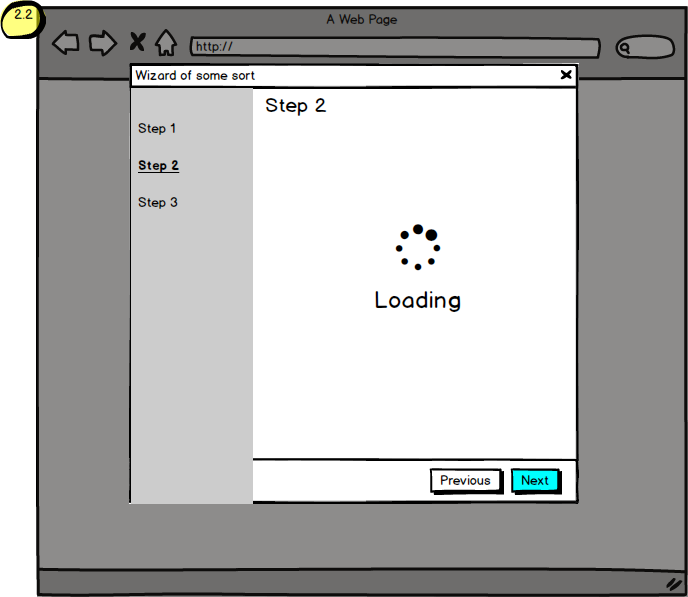 One of the features has a popup wizard with 3 steps. 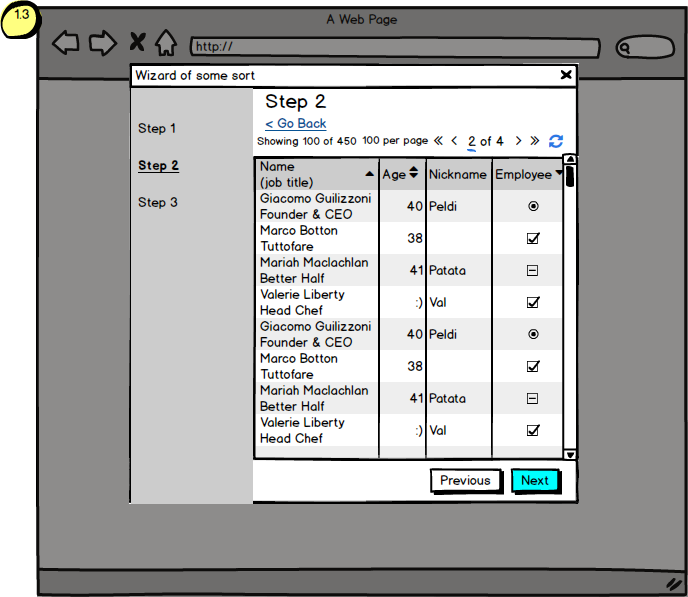 In step 2, you will need a check / select element grid to go to step 3. The problem is that for the grid to appear, a user must search for certain CSV criteria (we have 4 criteria that users can search for). When the criteria are met and applied, the step clears / loads (see below steps 1.2 and 2.2) and the results grid with these criteria appears. 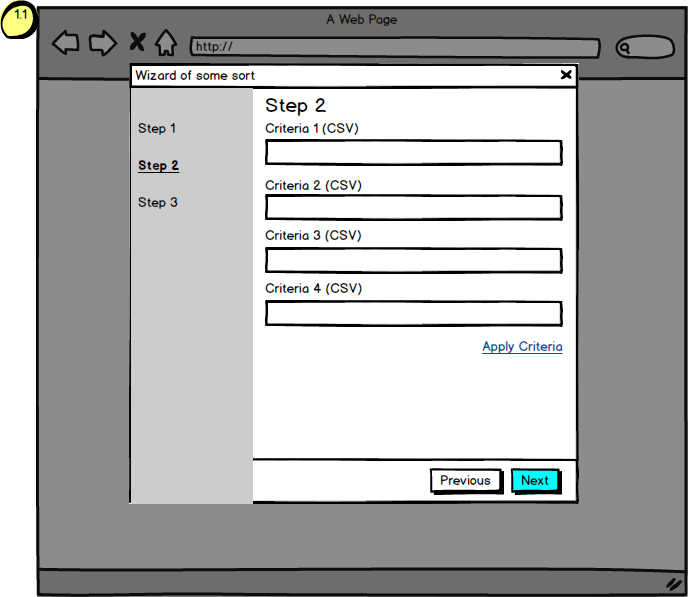 OR have a complete staged approach (see 2.x Screens Attached): put everything on one screen and use a collapser for the criteria. the grid can be huge … and put everything in one step … can be to explode a browser or cause a lot of scrolling – as serious as going back and forth. Both approaches are equally delusional with "clicks" (one has big scrolling or scrolling motions, the other goes back but does not see the grid), but B2B applications are not the most beautiful of what we saw. Both approaches will have the question of "application criteria" and will reload the entire network. PS: Some of you may notice that our pagination is crazy. That's because it is. I hear you. Previous Previous post: Are there any limitations to grappling?